The narration (except for the brief sections read by the author) really detracted from the story. Because of the strong accents, I found myself trying to concentrate on the words themselves and at times I had to go back and listen a second time to the sense of the story. 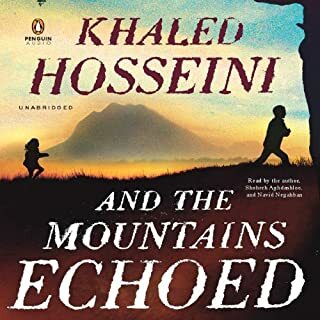 Hosseini's beautiful prose was frequently lost in the harsh tones of the narrators. I have always enjoyed Hosseini's previous books. This one would definitely be better in a non-audio version. He has tried to present a good overview of his native country and how the conflicts of many decades have affected the culture & the people. It is a complicated society.